The time has come to end this saga. I started showing off this trade in September 2017. Then work got in the way for a few months (part 2 went up in April), and I wanted to give air time to other trades along the way as well, but nearly exactly a year later the last chapter of this trade with Bill is finished. And it’s great timing, too, because I just got ANOTHER package from Bill in the mail a few days ago! I promise it won’t take a year to get through that one (barring a coma or some other unforeseen event)! I’m also going to present it slightly differently, but you’ll see when that time comes. I have a couple other trades in the queue first. As mentioned before, Bill doesn’t have a blog of his own, but he’s known as minibbcards on the Trading Card Database and his want lists are fantastic (and found here). If you have 2018 Ginter minis (or other years), make sure to give him a look as he’s a great guy and super easy to deal with! 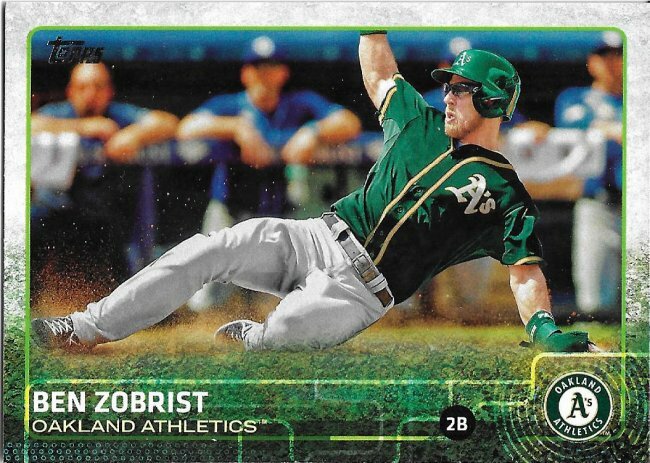 To begin the cleanup, let’s take a look at some cards of Zobrist, who has been one of the most reliable Cubs players this year. 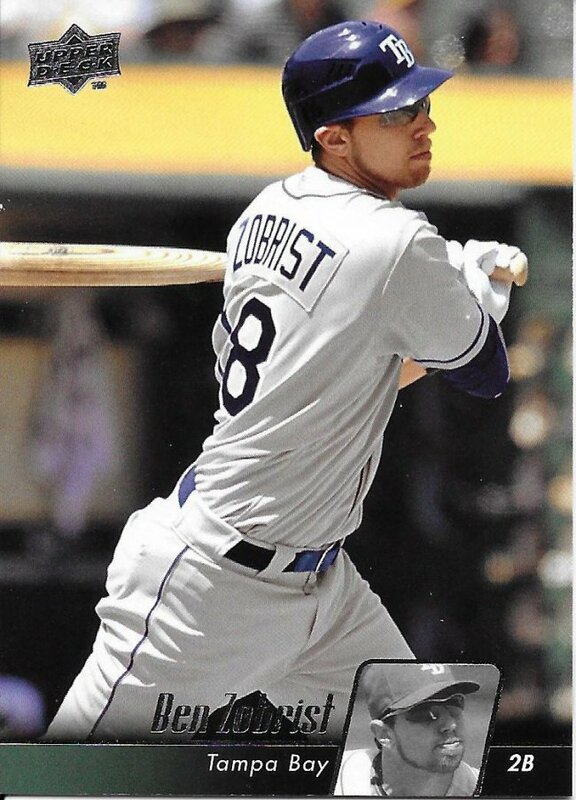 He may not be the flashiest, or the one with the most power, and he doesn’t hit in a spot in the lineup where he has a massive impact, but it’s noticeable and appreciated. I doubt we’ll reach the World series this year. In fact, his former team here might get there. But I certainly wouldn’t be disappointed if he pulled out another WS MVP…. The last Upper Deck baseball set in nearly a decade now. Every time I look at this set I’m reminded that they did some random “spot the difference” SPs with various rarities in there, but never announced what the differences were. Neither of these players fell into that category, but Chris Coghlan is one of the Ultra Rare variant guys. 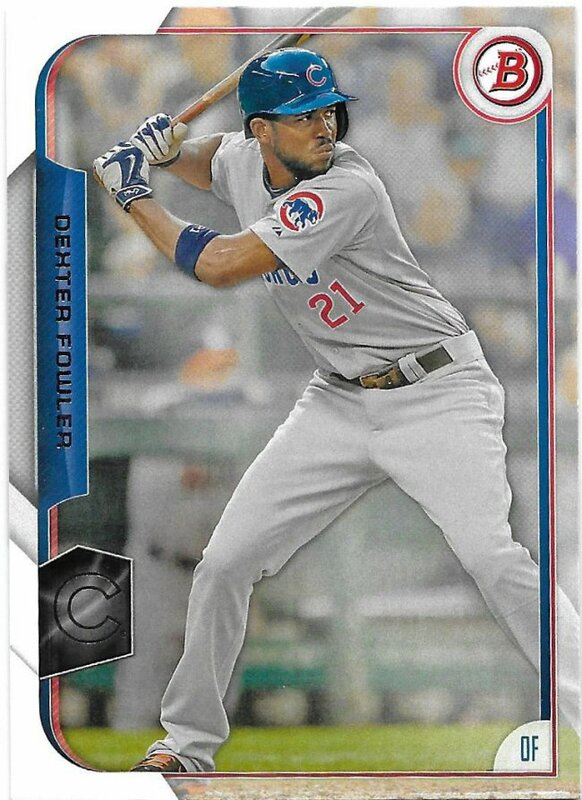 Per Baseballcardpedia – UD Logo flipped to upper-right, player in dugout moved left). I have neither version of the Coghlan. Continuing on the Fowler train, we move forward one year to the non-Mike Trout series. Simpler times. 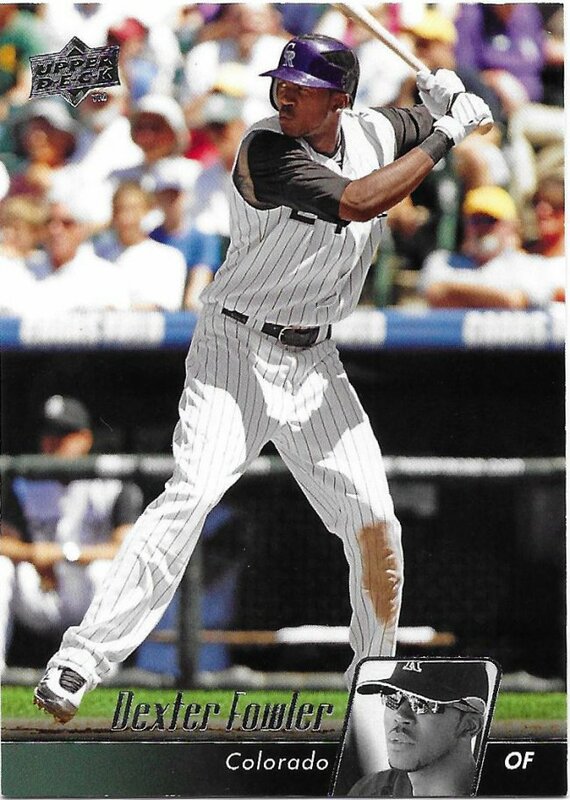 For those that also need help without looking at the backs, this is 2013 Bowman. Nice design, but as I’ve said many times before, it’s really hard to know which year is which. 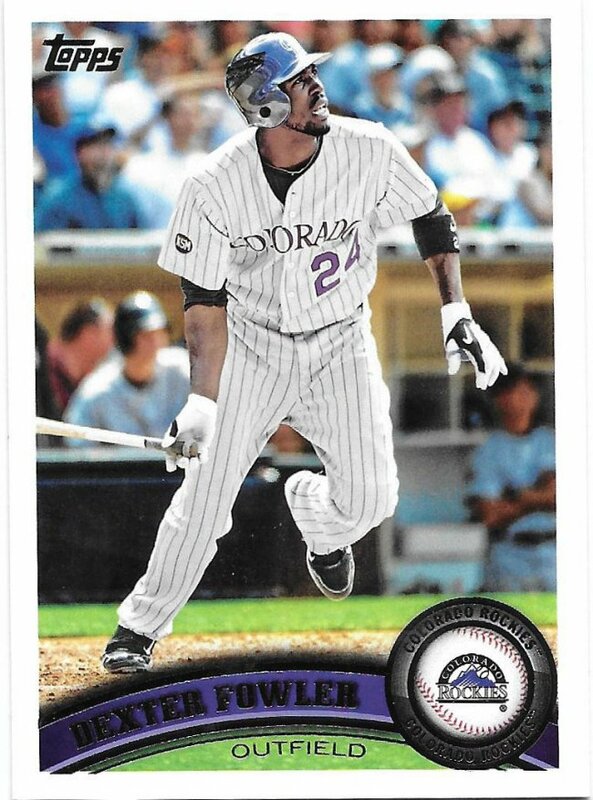 I’m happy to take all the Bowman stuff I don’t have already and sort it out when it arrives. 2015 is a bit easier for me to identify, but I still have doubts. I have this issue with a lot of products, I guess. Kind of pathetic for a current collector when you think about it. (probably won’t be the) MVP! 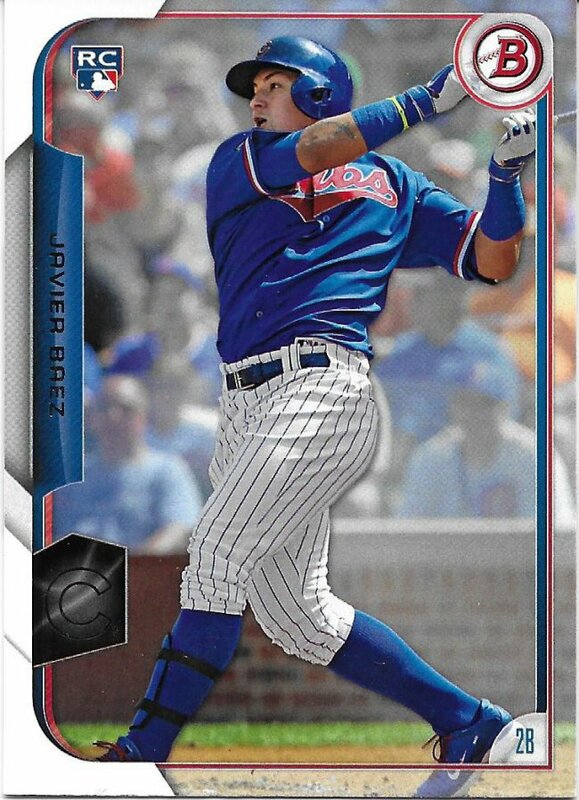 Lastly, we’re sticking with 2015 Bowman, but this time it’s in the form of a Javier Baez rookie card. 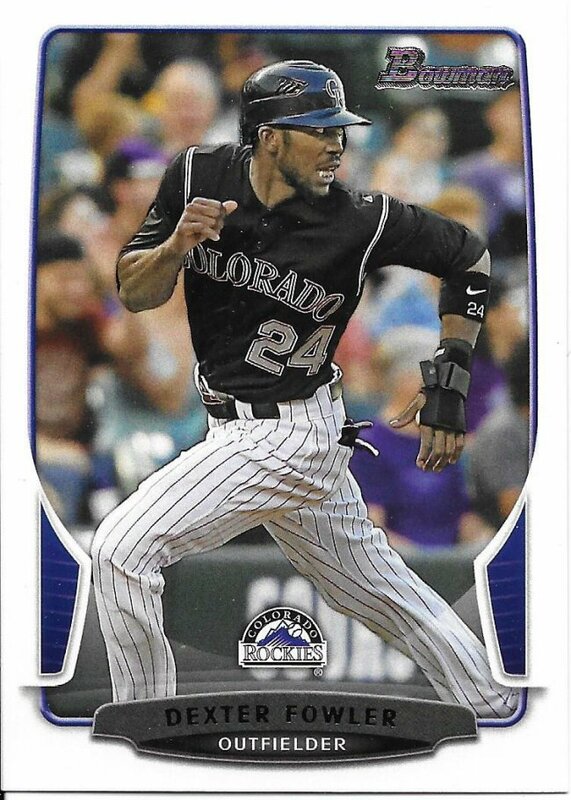 Now, obviously this was sent prior to what I guess could be called a breakout season, but few people care about Bowman rookies (only the prospects). I’m one of those few people when it comes to players I collect. 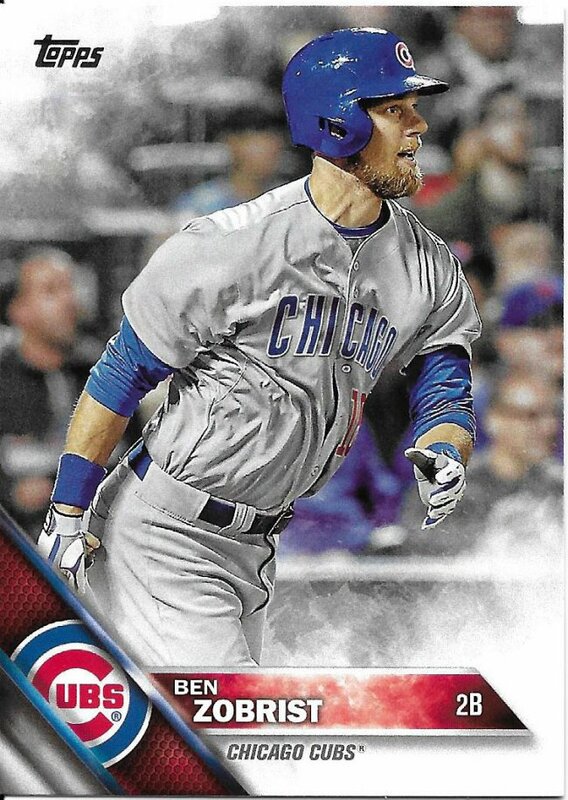 Also, regardless of Javy’s production, I would certainly be grateful to receive this, as I was for all of these cards spread out over a year and eight posts! I’m also grateful for all the cards Bill just sent to me, and I look forward to sharing those with you soon and continue thanking him for his wonderful trades!